USA-built Ful-Vane air compressors are backed by over 75 years of industry know-how. 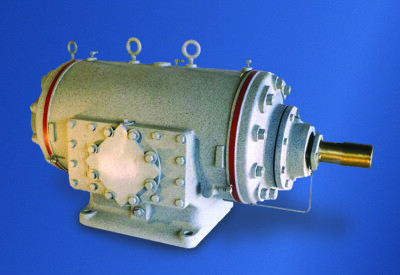 With over 26000 units in service, FLSmidth is one of the largest manufacturers of rotary vane compressors in the world. FLSmidth parts warehouses and service centers are strategically located and staffed with well-trained personnel. These advantages, added to the superior design engineering of our entire product line, make Ful-Vane compressors ideal choices in today’s cost-conscious economy. Choose the capacity and pressure rating that fits – capacities to 3000 cfm and pressures between 15 and 45 psig. Typical applications include pneumatic conveying, sewage aeration, slurry agitation and in-plant process air. Whatever your application, a Ful-Vane compressor can supply the air you need, where you need it.